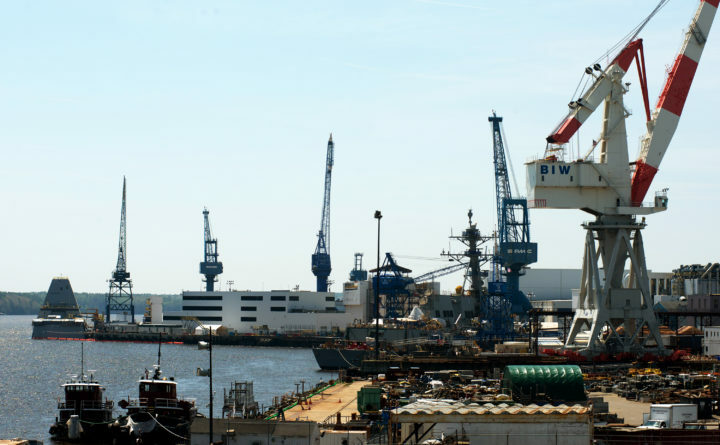 Members of the largest union at Bath Iron Works on Saturday passed a vote of no confidence in their president and withdrew charges alleging misconduct against the local chief steward. Gauthier said Monday that although most meetings draw fewer than 50 people, Saturday’s meeting drew close to 150 members. Those present passed by an “overwhelming” majority vote a statement that they had no confidence in Keenan’s leadership. Members also voted unanimously to withdraw the charges against Gauthier, he said. The charges against Perry must be handled by the International Association of Machinists and Aerospace Workers, not the local organization, Gauthier said. Perry has categorically denied the allegations. Keenan, a shipfitter who was president of Local S6 from 2001 to 2008, was re-elected as president in 2016 of the 3,500-member union, and took office in January 2017. He filed the charges alleging misconduct after Gauthier and Perry were among 11 of the executive board’s 12 members — except Keenan — to sign a Jan. 22 letter to national union leadership requesting assistance. It was the third time in 18 months the request had been made. Help arrived early this month when the national organization sent former Local S6 president Jay Wadleigh to Bath from the district office in Lisbon to to “oversee and supervise” the operation of Local S6. John Carr, a union spokesman based in New York, said last week Wadleigh will review the executive board’s concerns and recommend how to handle them. Wadleigh had no comment on Monday. Carr did not respond to requests for comment. Keenan said Monday that he was not present at Saturday’s meeting due to personal business, but said the actions by the board result from “unpopular” decisions Keenan made to rein in various forms of misconduct. Tensions between other union board members and Keenan have escalated in recent weeks. On March 1, Keenan called Bath police and requested that “threatening statements made to him by a fellow union officer” be documented. “It was an internal argument between union members that escalated into threats in emails,” Bath police Lt. Robert Savary said Monday. Police are not investigating the matter further at this point, he said. BDN staff writer Judy Harrison contributed to this report.